McAfee Internet Security is popular antivirus software that provides complete protection from viruses, malwares and internet threats. The latest version of McAfee is Internet Security 2013 has many features such as real time shields, two way firewall, anti-spam, anti-bot protection and parental controls. 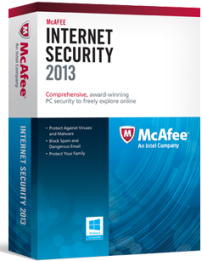 McAfee Internet security is available in three types of subscriptions are 1-year, 2-Year and 3-Year. Generally one year subscription costs $59 but now they are giving a promotional offer to get this anti-virus pack for 6 months completely free. You can use this security software for 6 months with original license and without any cost. 1. Go to this McAfee page and click on “Create Your Account” button to create a new account. 2. Click on “Place My Order” button and you will see your order information. Then Click on “Get my Trial” button. 3. You will see the software expiry details with “Download” option. Click the download button to get your free copy. That’s all. 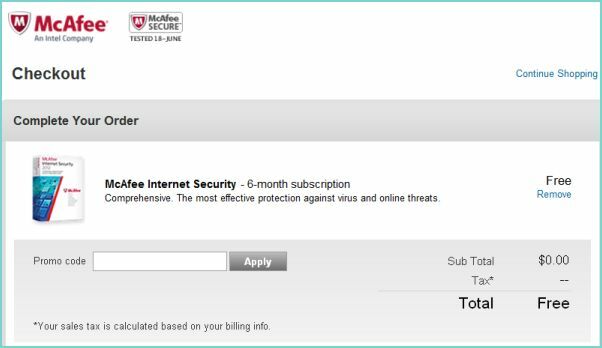 Now you can use the McAfee Internet Security free for 6 months to protect your computer.